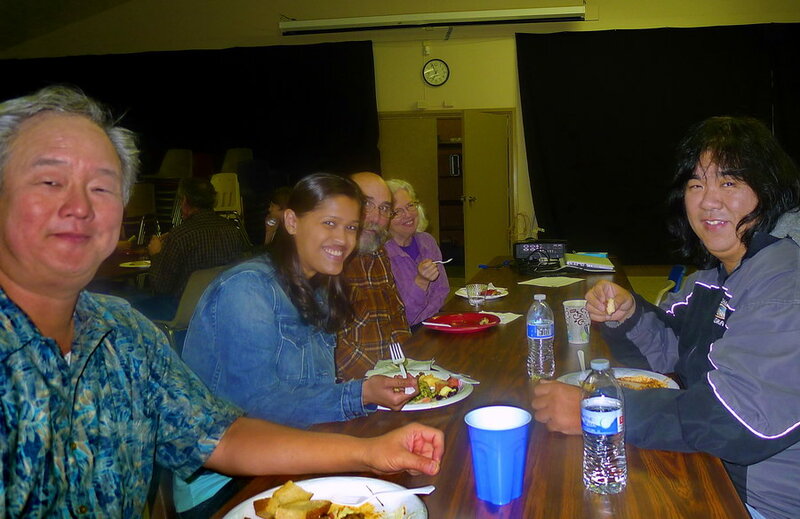 Elections were held, food served, and a few members were recognized for making SJAA shine. Greg Claytor did an outstanding job of noting all that our clubs does – and his son took the above picture of SJAA members in attendance. 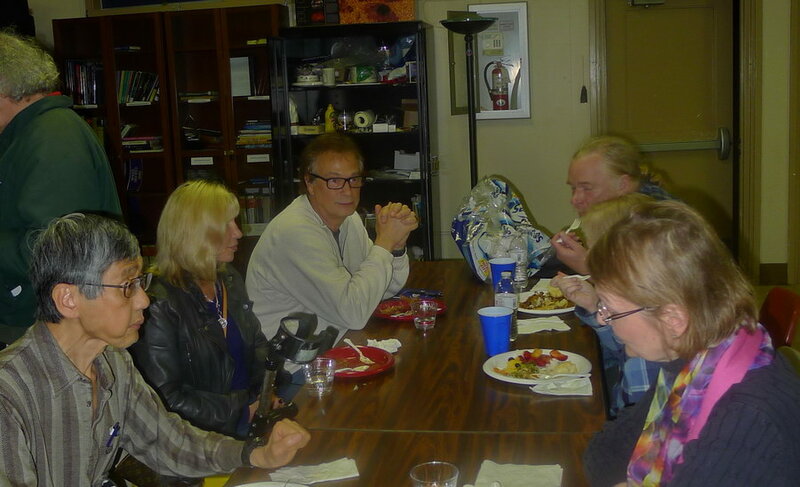 The Elected Board members for open seats in 2015 were Teruo Utsumi, Ed Wong, Lee Hoglan and Michael Packer. The Board has one seat open. If you wish to nominate yourself or another member please contact any board member. 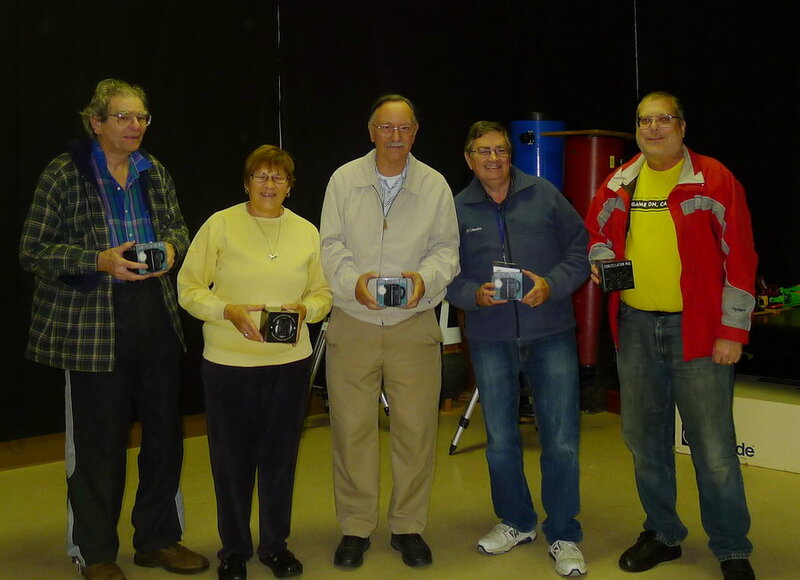 Below are the folks who were awarded for their SJAA efforts. 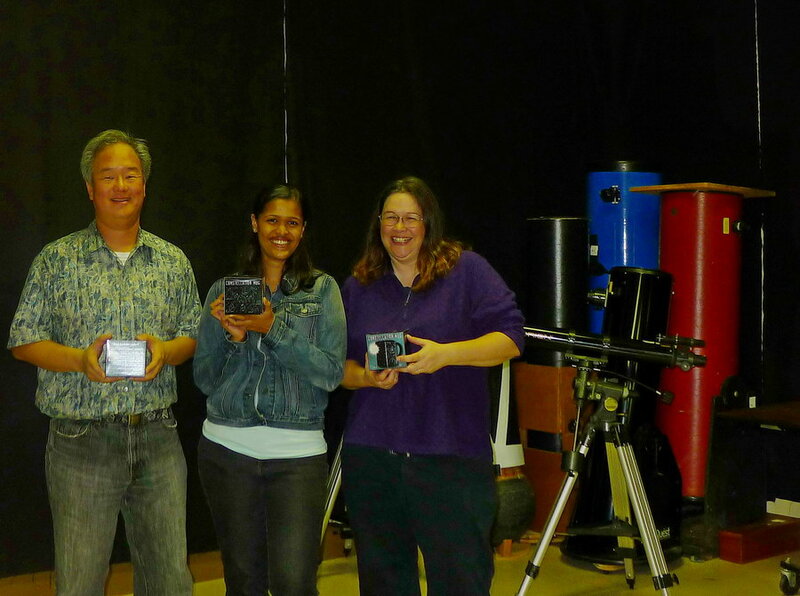 Each recipient also got a bonafied astronomy cup that shows the constellations when it’s heated up with coffee, tea, coco, broth… you get the idea. 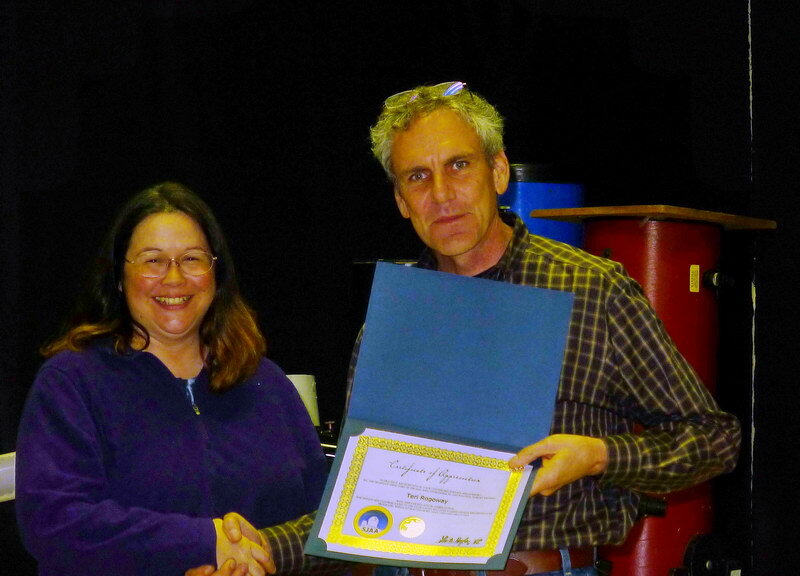 Teri Rogoway given the SJAA Recognition Award by Greg Claytor for helping SJAA secure dark sky observing sites, late at night, and outside city lights. Much thanks Teri. 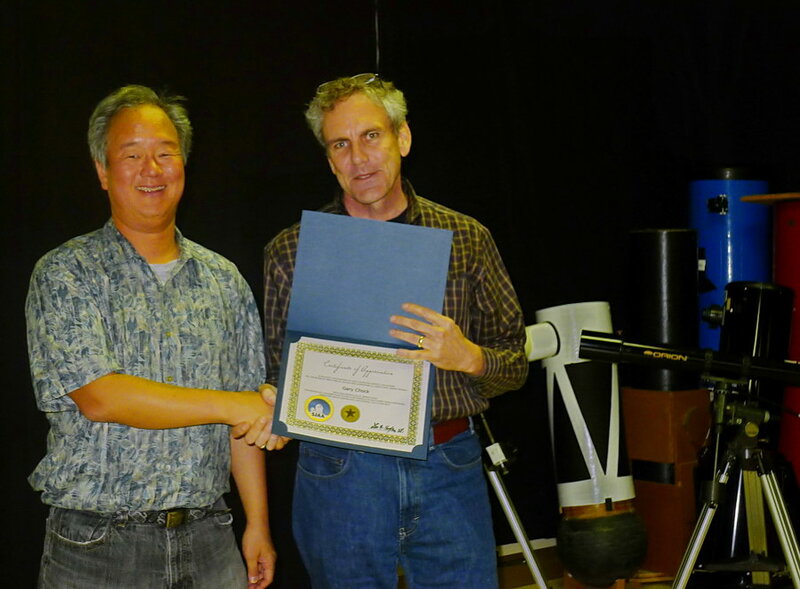 Gary Chock has showed up and shared the night sky at just about every dark sky event SJAA hosted last year – Wow – Thanks Gary! Sukhada Palav has taken it upon herself to stock an Astronomy Library with books and magazines that both kids and adults can enjoy/utilize. Last year the Library really came to life! Thanks Sukhada. 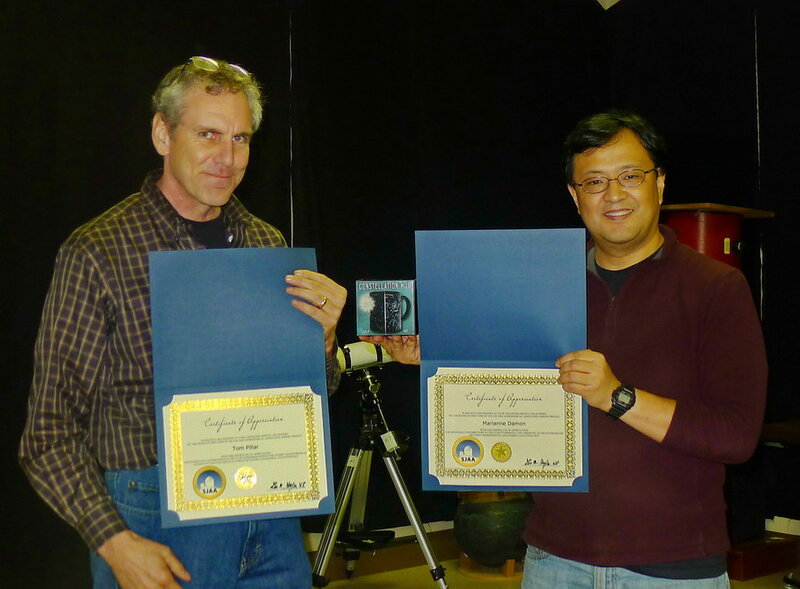 Greg Claytor and Teruo Utsumi receive awards on behalf of Marianne Damon and Tom Piller (not pictured). 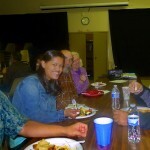 In addition to her outreach, Marianne was the reason every SJAA meeting had coffee and snacks last year. 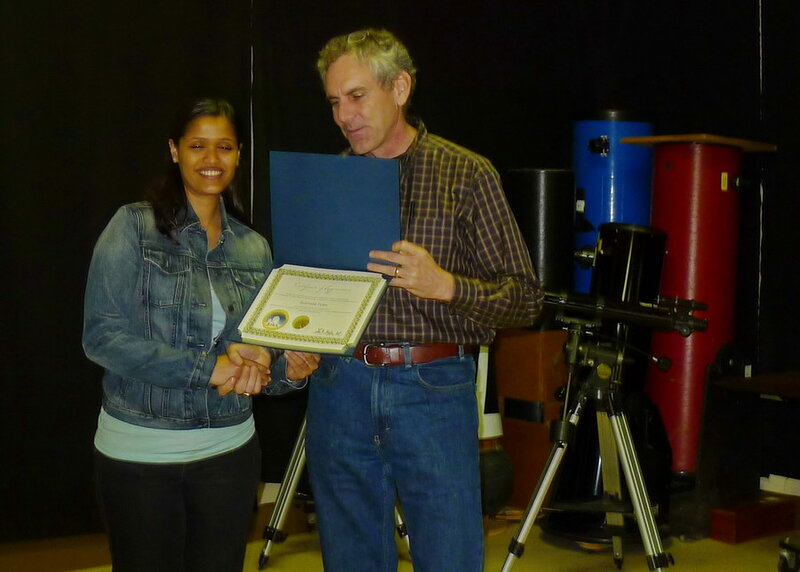 SJAA recognized Tom Piller for his outreach last year his editorship of the SJAA Ephemeris News Letter. Thanks to you both! 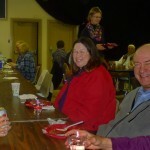 Below is a pic of three recipients in attendance – you might call these mug shots – seeing as they are holding their cups! 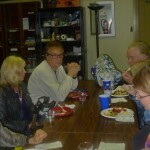 Below are a few more pics of the evening. Thanks to all of you for making SJAA a fun place to reach for the stars. And great food btw!